dimensions: 705mmL x 800mmH x 440mmSH. with castors 725mml x 730/860mmh x 370/500mmSH. 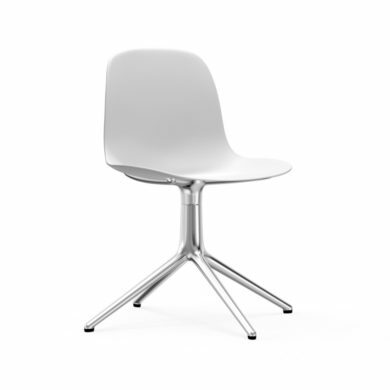 available in: swivel base available in black, white and polished aluminium. shell available in black, white, blue, grey, green or red. a flawlessly cohesive design and visionary variations characterize the bestselling form collection, which was introduced in 2014 and is being continually expanded. 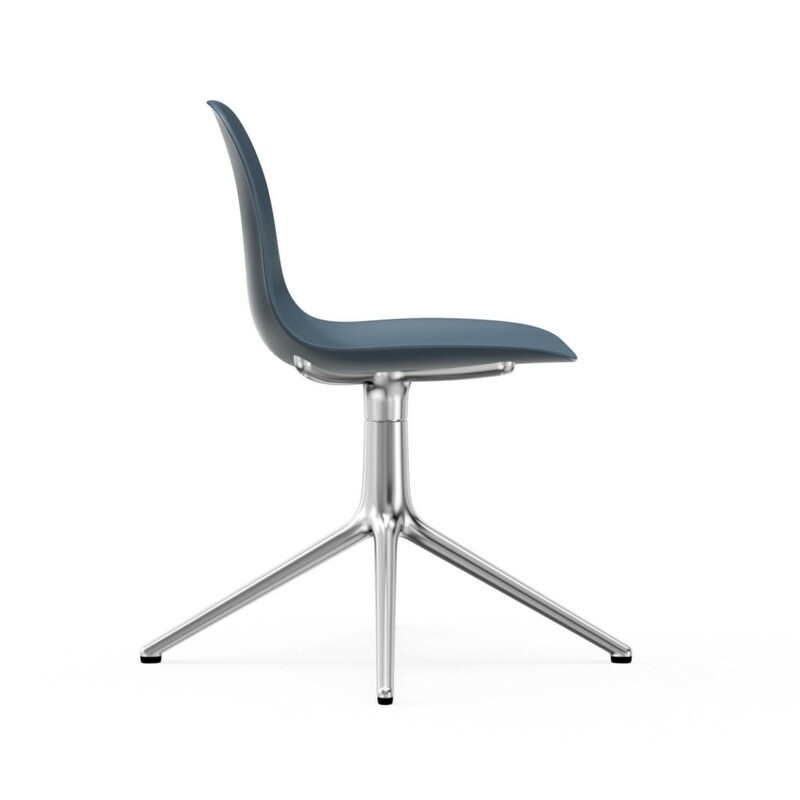 the swivel base in cool aluminum gives the form chair a masculine and exclusive look as well as comfortable freedom of movement, making the chair eminently suitable for places like conference rooms and restaurants. 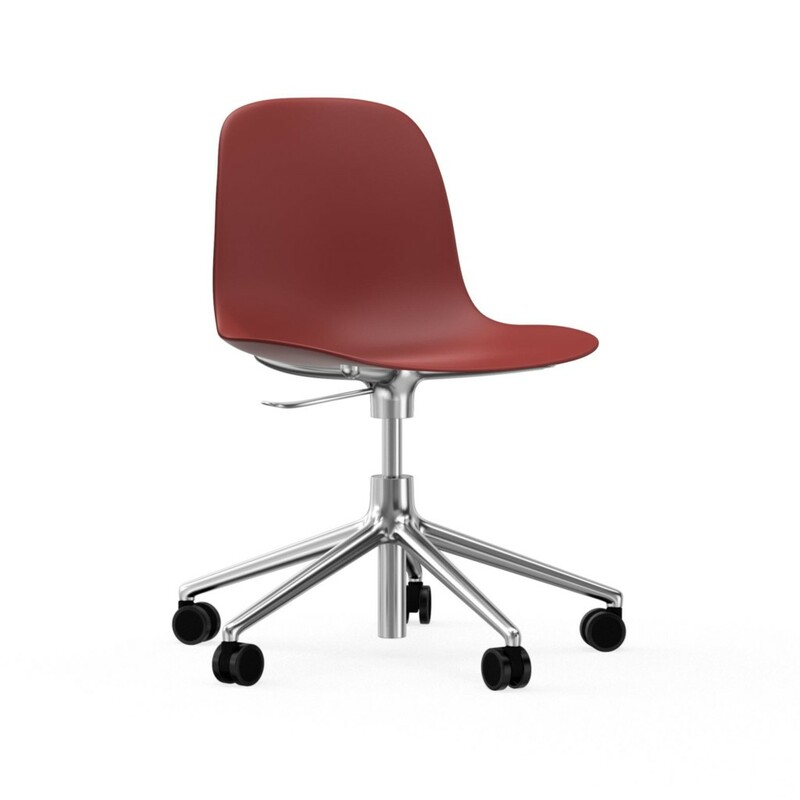 the swivel base grips the chair shell with four slim arms that meet in a rotating centerpiece, which then branch out into either five or four legs, depending on whether the chair comes with castors. 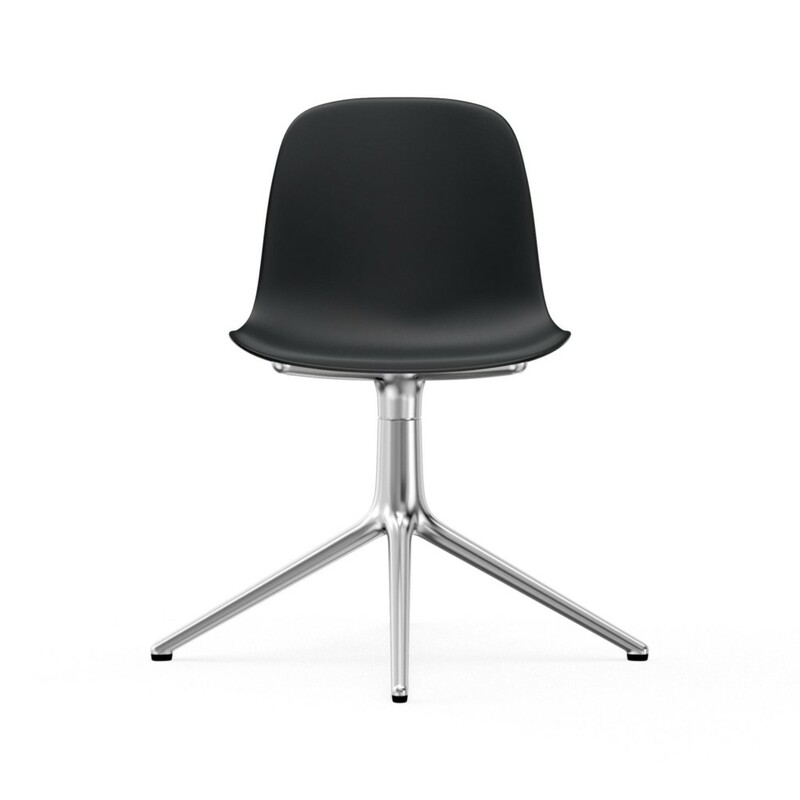 the form swivel base is available in black, white and polished aluminum.